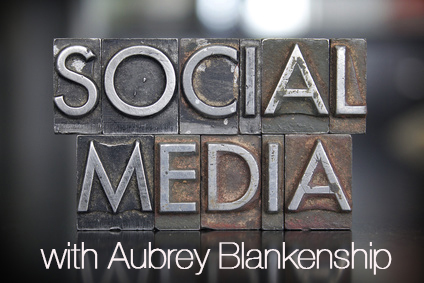 Today Aubrey Blankenship, the communications director for American Majority, joins me on the podcast to discuss the use of social media in a local political campaign. Aubrey has lots of experience helping candidates get their message out to voters using social media. She is going to give us some of her best tips for candidates running for local office today! Whether you are a candidate for local political office or a political activist, you need to have social media as a part of your long-term strategy! Social media can be a great tool to connect with people in your community, while also being free advertising. Whether you are just getting your feet wet in social media or you have been a long time user, Aubrey has great tips to help you succeed! Voter Gravity is offering to waive the set up fee to new subscribers to their Voter Gravity system by using the offer code “Commonwealthy” in the comments box on their website. This is an affiliate link in which Commonwealthy will be paid a commission if you buy Voter Gravity’s services. There is no additional cost to you. Commonwealthy only chooses companies we have experience with and believe in. Voter Gravity’s people are committed to limited government activists with real world campaign experience, who want to win elections to improve our communities, our nation, and our world. 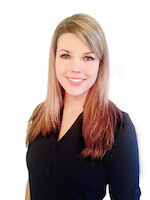 Aubrey Blankenship is the Director of Communications for American Majority. She has a background in writing and editing, social media marketing, public speaking and grassroots activism. Aubrey graduated with highest honors with her bachelor’s degree in Journalism followed by her master’s in Media Communications. She published a master’s thesis analyzing how the news media frames political news. Aubrey has worked as editor-in-chief for an online magazine that examines politics and culture for young professionals and content writer and editor for a legal defense firm. From 2009-2011 she taught public speaking and communications classes to over 200 college students. Her grassroots experience includes leading a campus organization with the goal of educating students on grassroots activism and policy issues. She led GOTV teams across the country, supervising hundreds of volunteers on key campaigns including Bush/Cheney in 2004 and candidates for the Florida House (2004), US Congress in Illinois (2006) and Virginia House and Senate (2008-2010). This entry was posted in Podcasts and tagged local political campaign tips, running for local office, social media. Bookmark the permalink.